PASADENA, CA - Cuties® are a wintertime staple, and consumers are excited to get their hands on the delicious fruits. 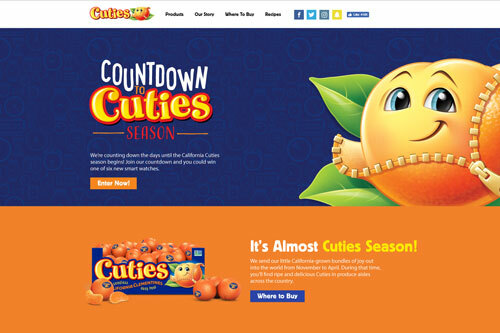 To further this excitement, Cuties produced a Countdown to Cuties sweepstakes to increase brand awareness and get everybody talking about the advent of the California Cuties season, which runs from November to May. By utilizing its loyal fan base, the brand offered consumers a chance to win a smartwatch and share their own personal countdowns with each other. According to a press release, since the promotion launched on October 22, more than 78,000 have entered the sweepstakes. The brand also included the hashtag #CutiesCountdown to generate buzz on social media. Over 1,400 engagements were logged across Twitter and Facebook during the three-week promotion period. For the latest in fresh produce news, keep reading us here at AndNowUKnow.